James Hardie fiber cement siding products allow you to create a beautiful, low maintenance home. Enjoy the beauty and character of wood, as well as resistance to weather, insects and flame spread. Additionally, our products come with a 30-year non-prorated, transferable, limited warranty – our strongest warranty ever to give you peace of mind. We are expert installers of James Hardie Siding Products with over 18 years experience. Because of our extensive experience in exterior renovations using James Hardie Building Products and our successful relationship with Property Management, we were chosen to do the renovation at Austin Square Condominiums. Used a hidden fastener system to enhance the look. Replaced all of the railing on the back decks and breezeways with Transform 42″ high handrails by RDI. Color – Wheat. Made structural modifications to the deck framing to bring it up to code per Architect’s recommendations. 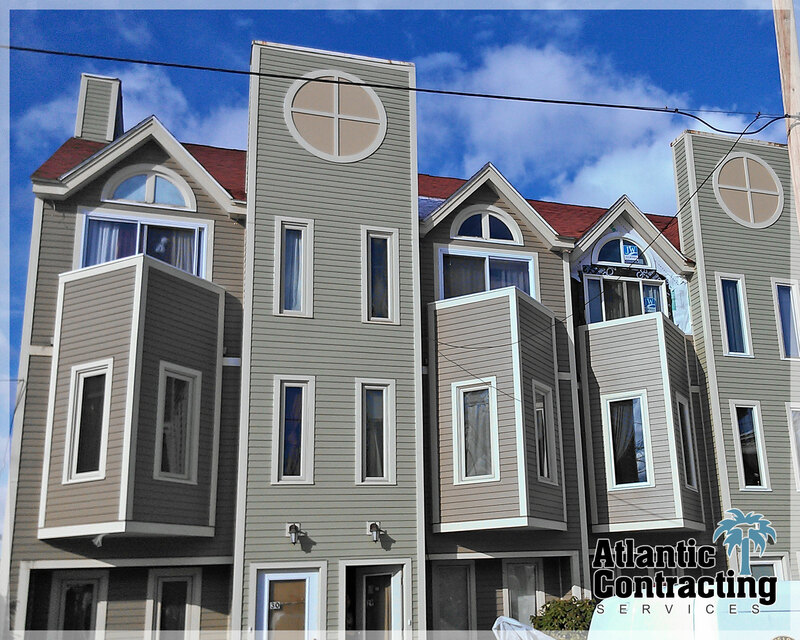 Looking for a Professional Siding Contractor? Atlantic Contracting Services is a full-service contractor that specializes in Low Country community associations and multi-residential properties. We have the experience with James Hardie products and installation that you need. With over 20 years of experience using James Hardie Siding products to re-side over 1,200 homes, we are the safe and smart choice for your home remodeling project! Our company motto is simple: If you are not happy, we are not happy, and if you don’t believe us, just ask our references!